A tagine is a traditional Moroccan cooking pot and can be used to create authentic North African dishes. 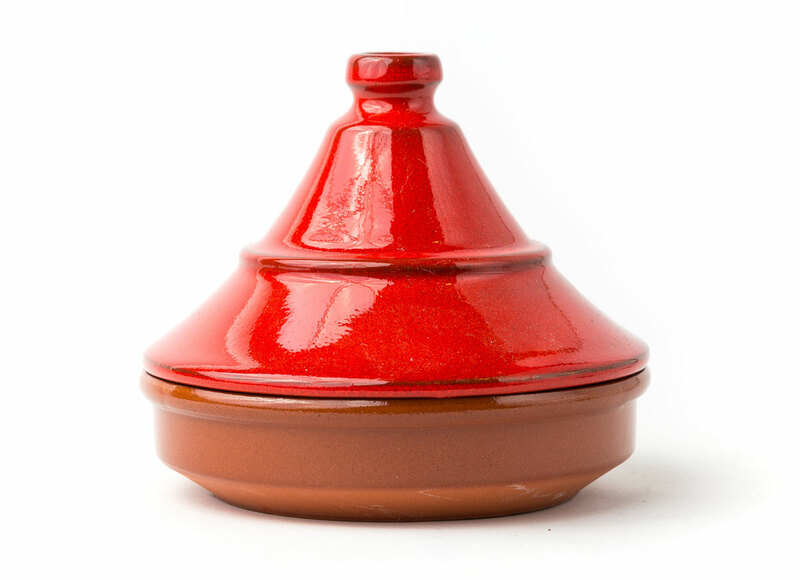 Designed to lock in moisture, our tagines will make delicious, tender, food full of flavour. Use the tagine for cooking fish, meat, fruit and vegetables. The taste of herbs and other seasonings added during the preparation are given enough time in the tagine cooking process to really be absorbed. The result is a tasty and low fat dish. Before first use, soak the tagine in water for 3-5 hours and then let it dry completely (for the lid this process is not necessary). You can use your tagine in virtually any heat source; on a wood fire, on the stove (with flame distributor), on an electric/ceramic hob and in the oven. It is important to avoid abrupt temperature variations and to only use the tagine on a heat source which has a diameter as large as or larger than the base of the tagine.